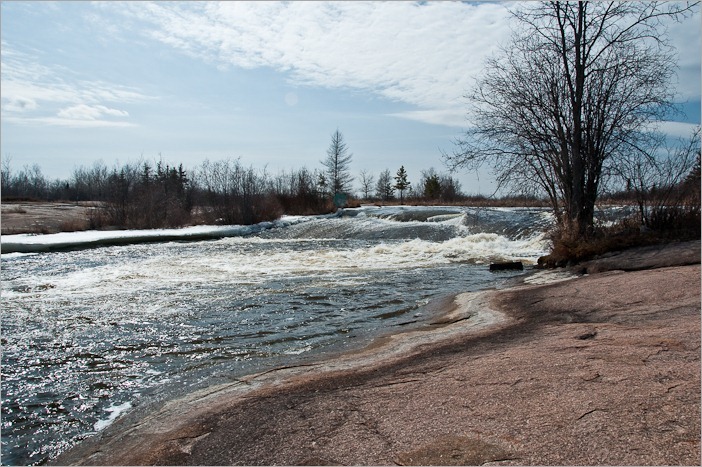 Pinawa Dam was built on dry land. Unlike most other dams where water needs to be held at bay for construction, this dam didn’t have water to begin with. That made it a lot easier to build it. The forebay was filled later, when the dam was ready to go. It did mean, however, that the water had to come through a canal to the dam. 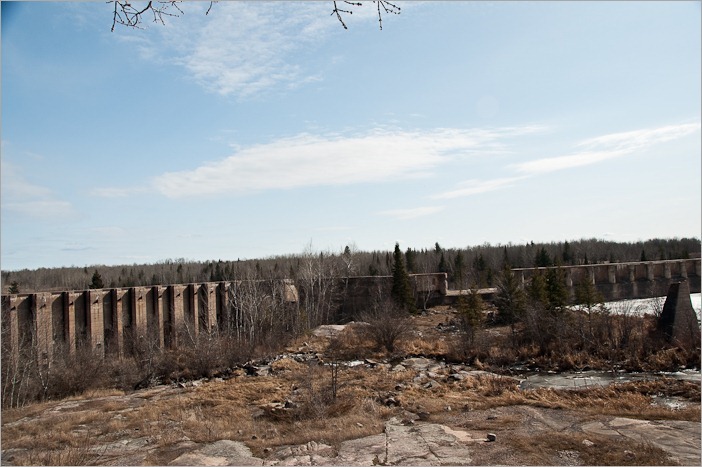 This canal was blasted through the rocks from the Winnipeg river to the dam. The canal’s water flow could be controlled a lot easier than a whole river. Once arrived in the forebay, the water stays there. Like in all rivers, rocks and debris would then sink or float there. They could be removed from the water before getting in the penstocks and so prevent them from ruining the generators. 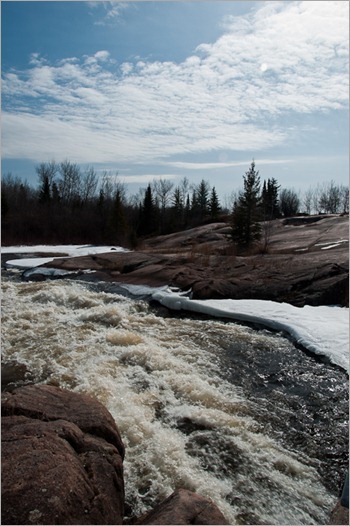 The excess of water was going over the spillway and continued its journey back to the Winnipeg river. 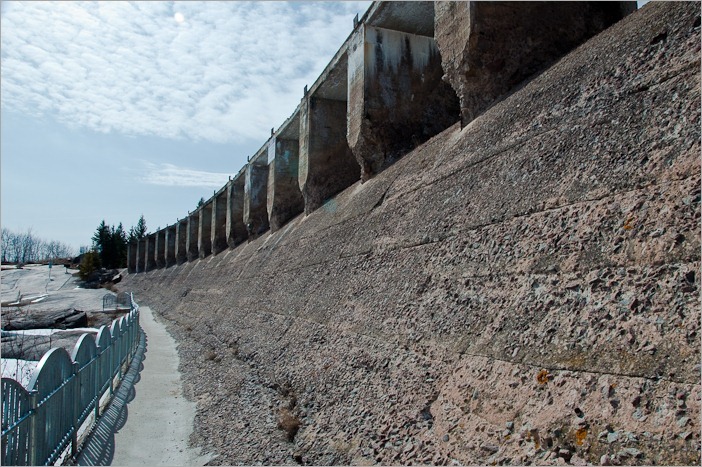 The spillway today is only a wall, but if you look closer, you can see the years of erosion by the rushing water. Remember that all this was made from concrete in the early 20th century. That concrete was not of the same quality as the concrete we know today. Today we can walk under the spillway on a small path, secured with a fence so that people do not fall in the water now rushing *under* the spillway. So, now that the remaining water has been converted into electricity, it was transported back to Winnipeg by high-tension power lines. At around 60,000 Volts, electricity loses a lot less of its power than at lower voltages. Once arrived in Winnipeg, it was simply converted back to the voltage needed to operate the streetcars and buses. But where was all this decided? 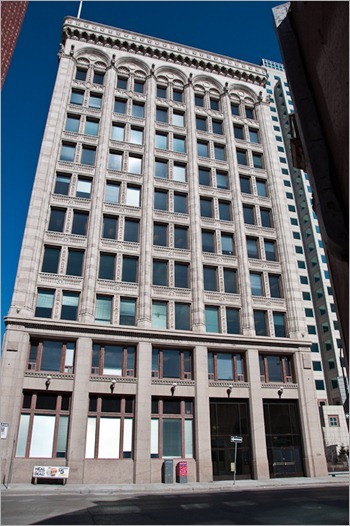 Well, today the only building left is the Electric Railway Chamber building on 213, Notre Dame in Winnipeg. 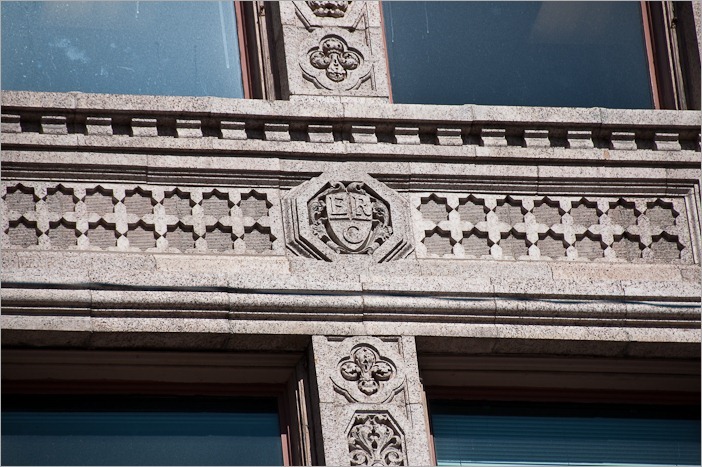 Other buildings in Winnipeg also state that they are “powerhouses” but they have nothing to do with the WERCo and with Winnipeg transport.